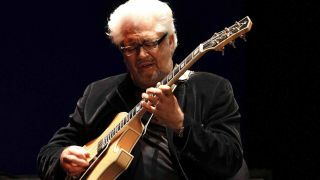 Jazz pioneer Larry Coryell, often referred to as the Godfather of Fusion, has died aged 73. The guitarist passed away in his sleep from natural causes in his New York City hotel room on Sunday, following two gigs at the Iridium Jazz Club that weekend. He known for his highly regarded solo work, with over 60 solo albums to his name, as well as collaborations with legends including Miles Davis, Gary Burton, Alphonse Mouzon, Ron Carter and Chet Baker. His 1969 album Spaces, which also featured the great John McLaughlin, was often hailed as the beginning of the '70s fusion jazz movement. 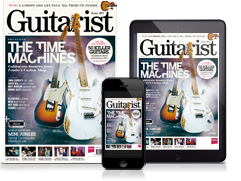 Guitarists have lined up to pay tribute to the influential player on social media. We're shared a selection below.